This epic fantasy story takes place through the eyes of several different characters. Artem Harrold wants to reclaim his kingdom’s lands, and compromises with Seralynd’s kingdom by marrying her. Orphaned Seralynd tries to bring her dying kingdom back into happiness and prosperity, but she is only 17 and she has a crush on one of her guards. In a neighboring entity, Rosamund is in charge of a small fleet of men, and while she is trying to stay on the good side of the commander so he does not dissolve her team, she is also falling in love with Stony, the in-person leader of her team. A self-taught magician is struggling to teach himself how to do more advanced spells so he can be recognized as a proper magician. Dark Storms Raging has finally been released. The Kindle and paperback versions are available on Amazon.com. Hardcover will be available shortly. 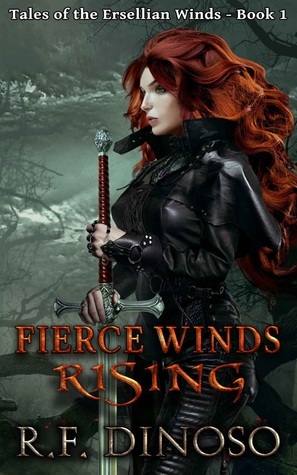 In conjunction, I have revised Fierce Winds Rising from beginning to end, making lots of improvements such as better maps, clearer prose, and a character guide. Dark Storms Raging, the sequel to Fierce Winds Rising is undergoing the final editing phase (proofreading). It will be released early May 2017. Stay tuned!